Grouse shooting has a direct, negative impact on the tourist-based economy of Yorkshire, which brings millions of pounds of investment each year into businesses and sustains livelihoods. Large areas of the uplands are closed off to visitors during the shooting and burning seasons, directly reducing the number of people who visit. It is also clear that grouse shooting generates significant negative publicity for the region. Alongside the increasing knowledge surrounding wildlife culls and habitat damage, Yorkshire has consistently been at the top of the national league for bird of prey persecution. This is largely fuelled by the trapping, poisoning and shooting of species including hen harrier, red kite and peregrine falcon on or around grouse shooting estates. The Chair of the Nidderdale AONB has acknowledged that wildlife crime “is starting to have a damaging effect on tourism businesses.” One other local authority has expressed further concerns that grouse shooting “has generated a significant amount of negative publicity” and ended its support for the practice. Bursting Point: Hebden Bridge is one of many areas submerged under flood waters as the moors above the town fail to function as a natural flood barrier. Yorkshire has been subject to severe flooding, which has caused devastation to livelihoods and homes. The Boxing Day 2015 floods alone cost the region £170 million, with some businesses unable to reopen, whilst others can no longer find insurance cover due to the risk of such events recurring. 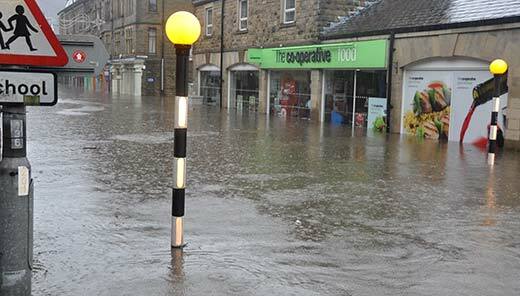 Areas of Calderdale, Wharfedale and Airedale became submerged, cutting off whole communities, damaging infrastructure and impacting on trade. Blanket bog which has been degraded as a result of heather burning and draining – a process used by gamekeepers to increase red grouse numbers for guns, which is one contributor to flooding. Restoring the uplands is vital to mitigating future flood risk. 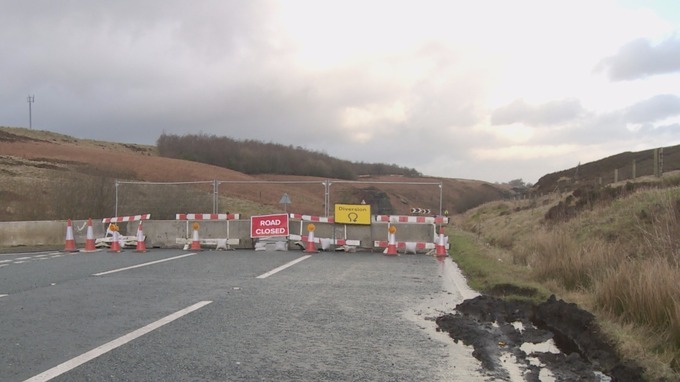 Closed: the A59 at Kex Gill was closed due to a landslide on the moorland fringe. Landslides have blocked vital transport infrastructure, making major transport routes such as the A59 between Harrogate and Skipton impassible. This has resulted in hauliers and other businesses reliant on these routes having to divert deliveries, increasing costs to their companies and local authorities having to shell out on repairs. Habitat degraded through grouse moor management is one key factor contributing to landslips such as the one above. Millions of pounds of public subsidies are awarded to grouse shooting estates and their agents across Yorkshire each year to finance harmful management methods. Furthermore, grouse shooting estates exploit tax exemptions for sporting enterprises in order to escape paying VAT.